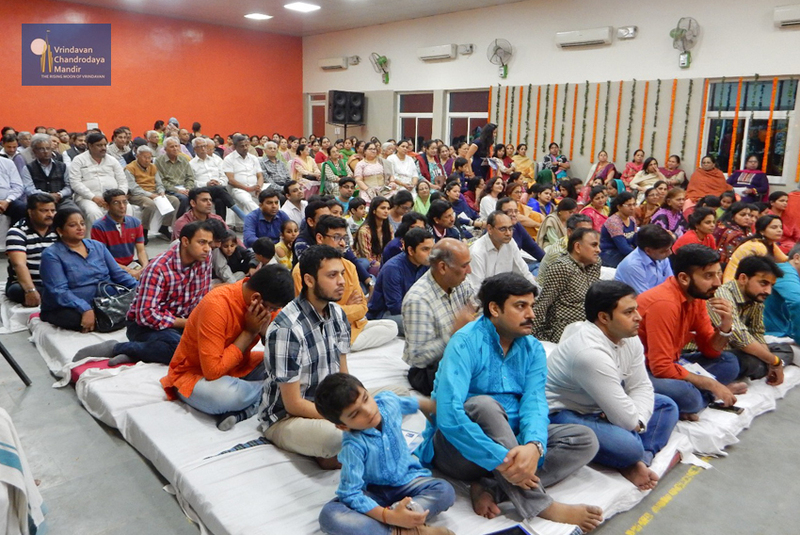 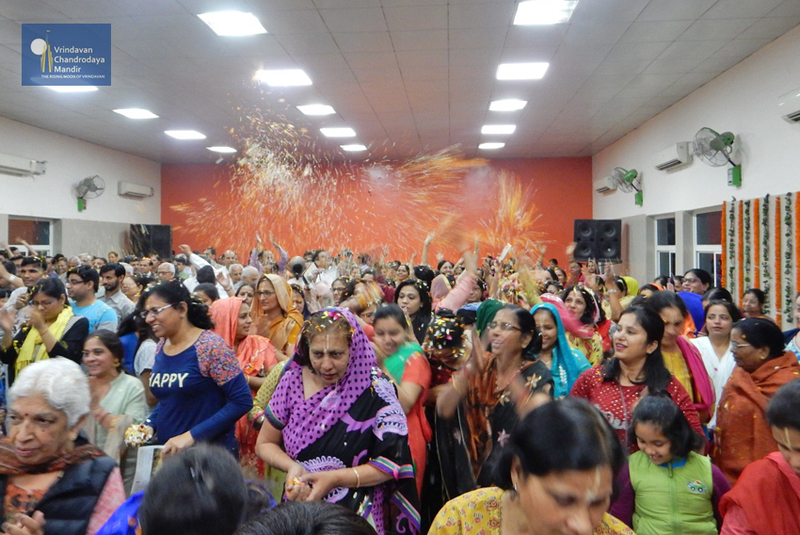 Vrindavan Chandrodaya Mandir conducted ‘Holi Milan Festival’ on 25th February at Sector 50, Community center, Noida. 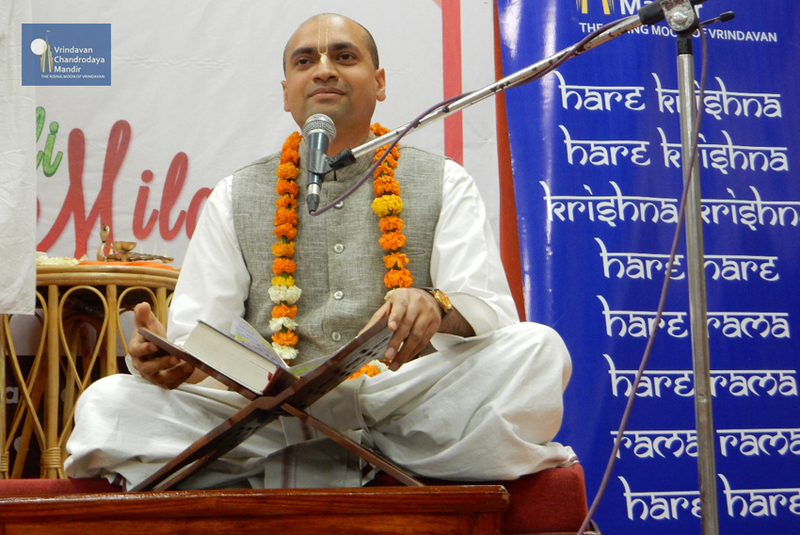 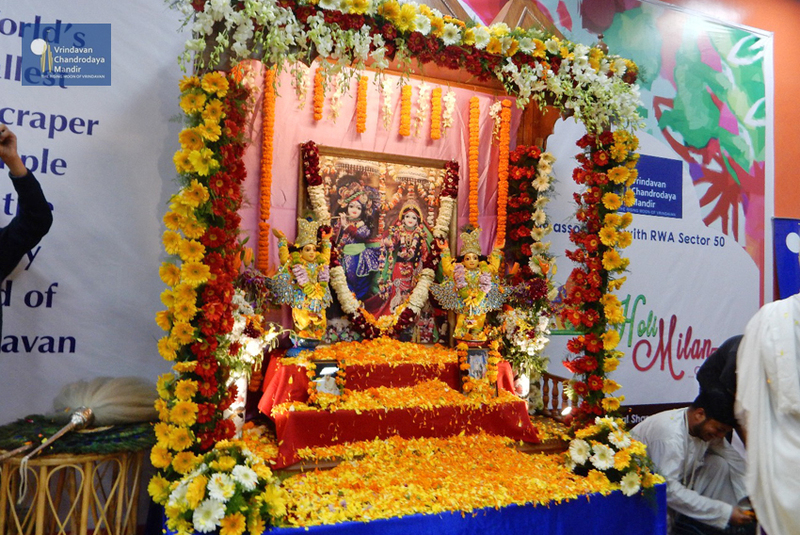 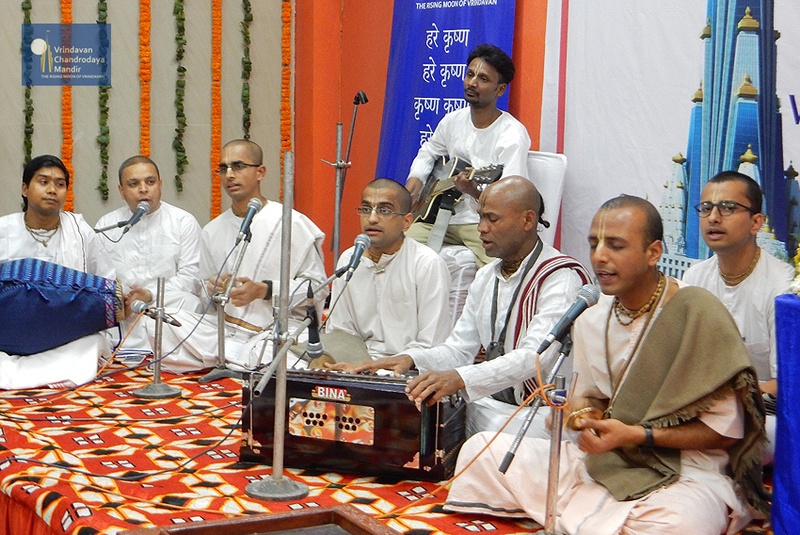 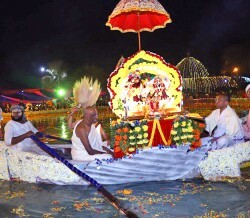 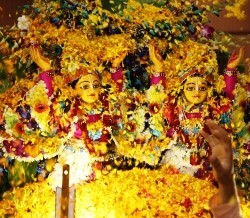 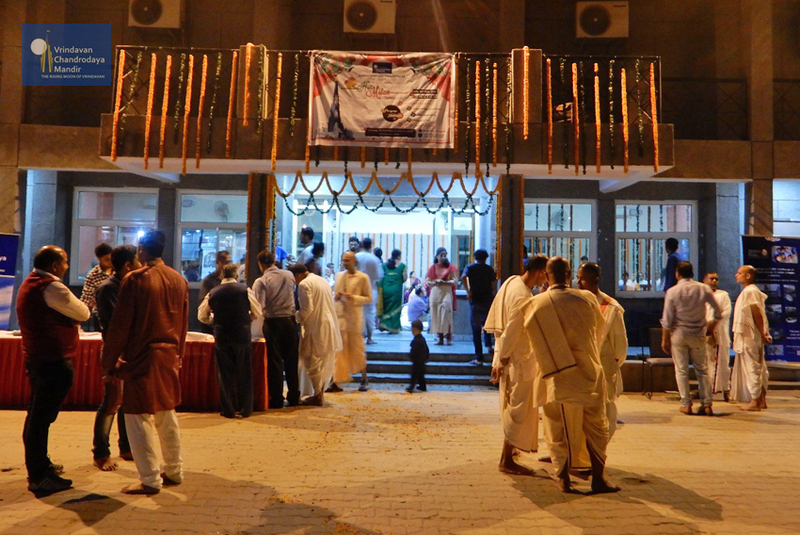 The entire venue was decorated with colourful flowers and surcharged with devotees’ sankirtan. 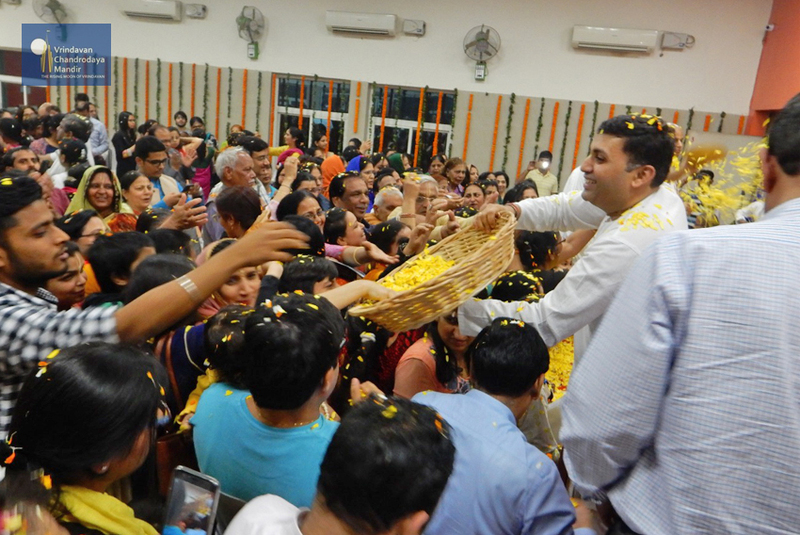 Temple Vice President Sri Shuklambhar Dasa elucidated the importance of conducting such festivals and how Lord enjoys playing holi with His devotees. 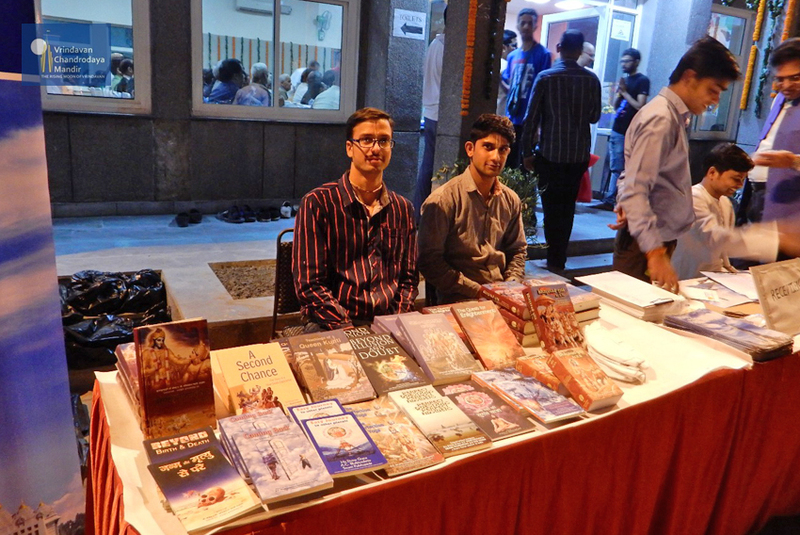 Srila Prabhupada’s books were distributed. 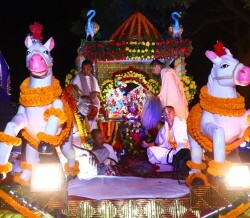 More than 450 people participated and enjoyed the unique way of throwing flowers at the altar and playing flower holi with the divine couple: Lord Krishna and Srimathi Radha.